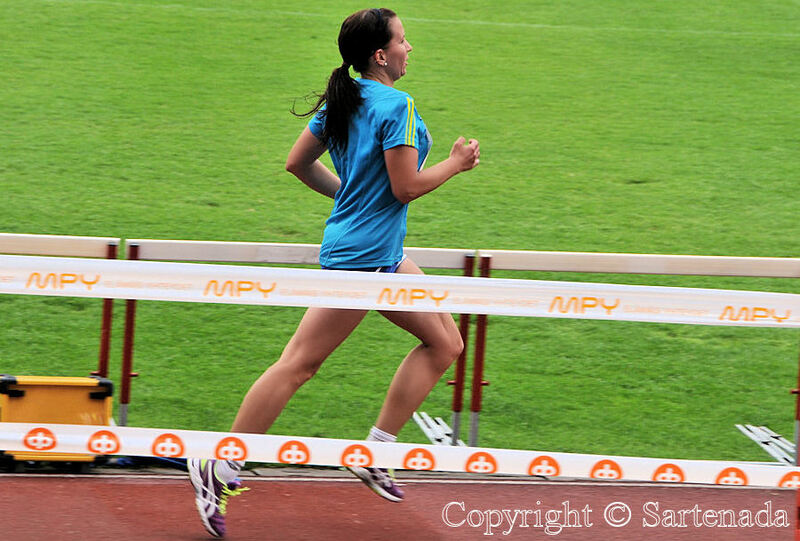 I thought that I never make a post about running. Now I had to. Why? 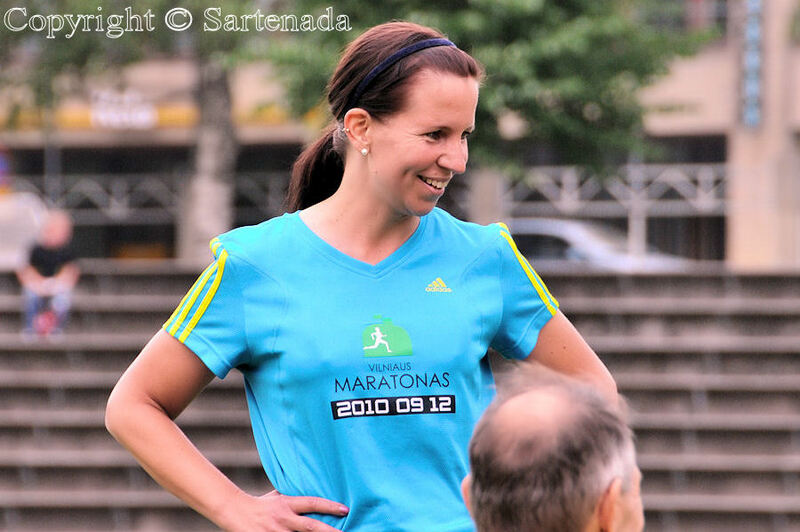 I knew that my daughter Inca has participated in some marathons, half marathons etc. 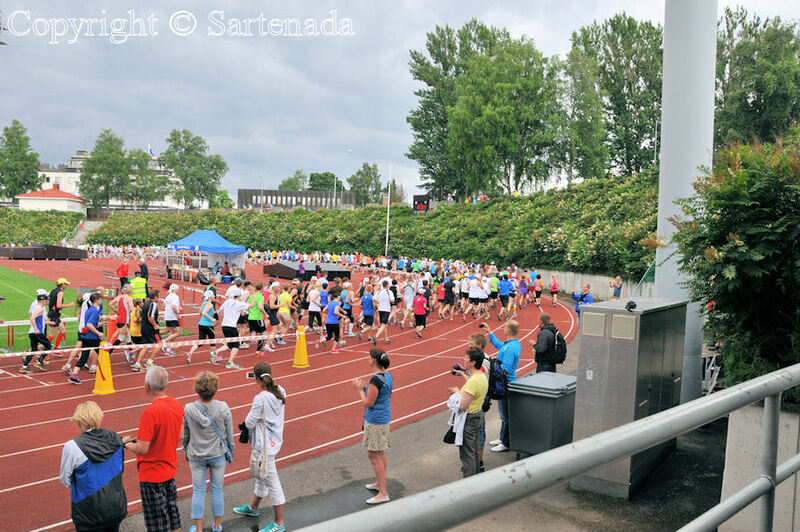 On July the 6th she visited for the first time our new home in Mikkeli and participated in ¼ Marathon which length was 10,55km / 6.6mi. 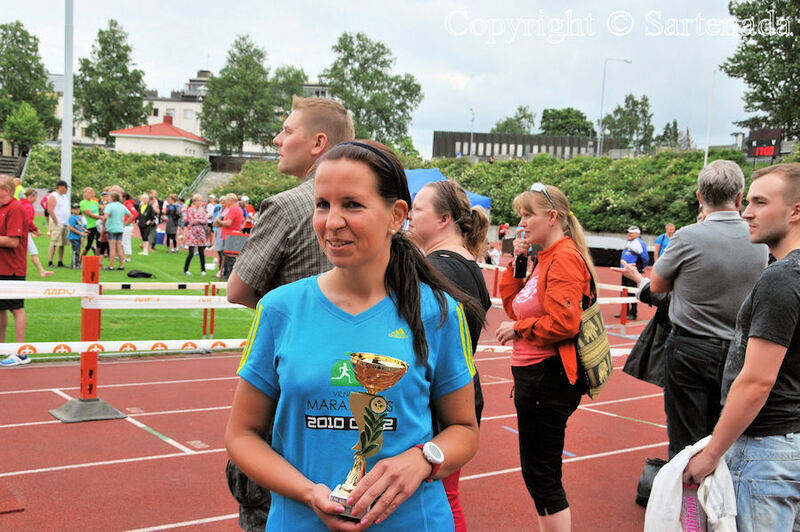 Before running she had to drive 258km / 160.3mi from Lohja to Mikkeli. 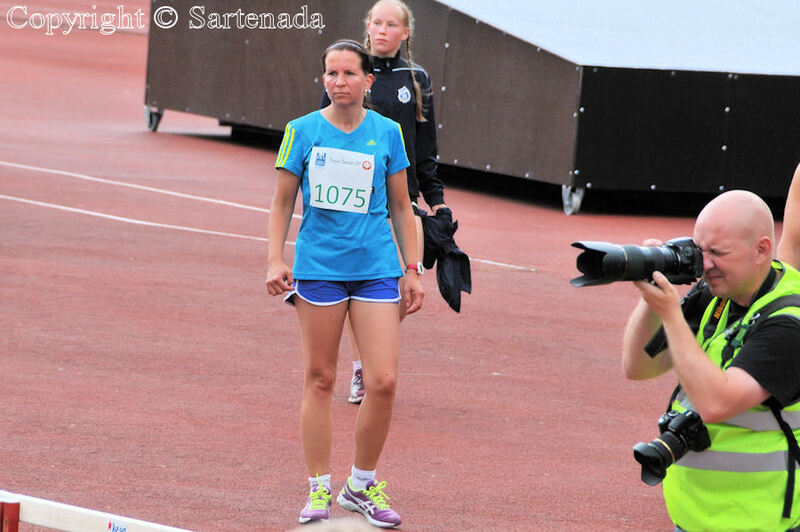 She was running at women’s age category of 40 years. So how did she? She won! 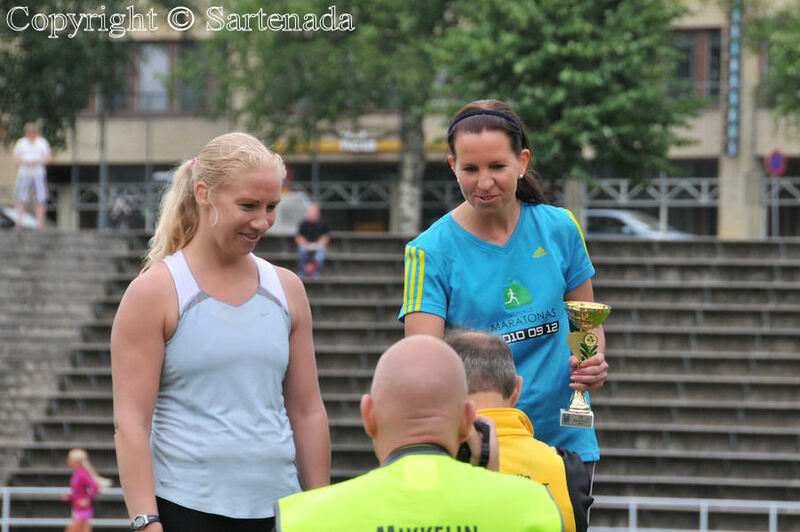 It was for the first time when she won and it happened in Mikkeli. Some photos need more explanations: Photos number two and three show how to tie the chip for timing. The fourth photo might presents a guy dressed in bachelor party costume. After the race we went our home and drunk “medal coffee”. Happily we had something to offer, because we were not prepared for her victory. My daughter’s result was 00:51:36. Have You ever competed? Pensé que nunca hago un post acerca del correr. Ahora tenía que hacerlo. ¿Por qué? Yo sabía que mi hija Inca ha participado en algunos maratones, medios maratones, etc. En julio, la sexta visitaba por primera vez nuestro nuevo hogar en Mikkeli y participaba en ¼ Maratón cuya longitud era 10,55 km / 6.6mi. Antes de correr ella tenía que conducir 258 kilometros / 160.3mi de Lohja a Mikkeli. Ella corría en la categoría de mujeres de 40 años. Entonces, ¿cómo lograba ella? Ella ganó! Fue por primera vez cuando ganó y eso sucedió en Mikkeli. Algunas fotos necesitan más explicaciones: Fotos de número dos y tres muestran cómo atar el chip de cronometraje. La cuarta foto para presentársela a un tipo vestido con traje de fiesta de despedida de soltero. Después del correr nos fuimos a nuestra casa y bebíamos “café de medalla”. Afortunadamente teníamos algo que ofrecer, porque no estábamos preparados para su victoria. Resultado de mi hija fue 00:51:36. ¿Alguna vez has competido? Je pensais que je ne ferais jamais un post sur la course. Maintenant, je devais le faire. Pourquoi? 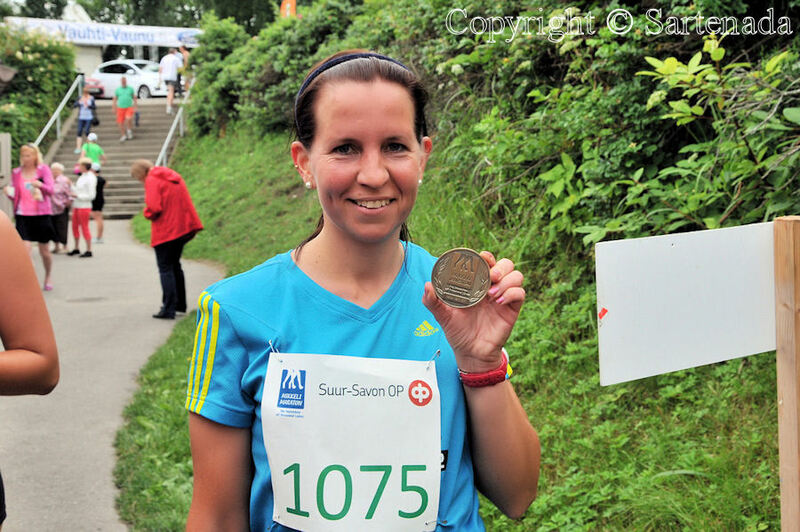 Je savais que ma fille Inca a participé aux marathons, semi-marathons, etc. 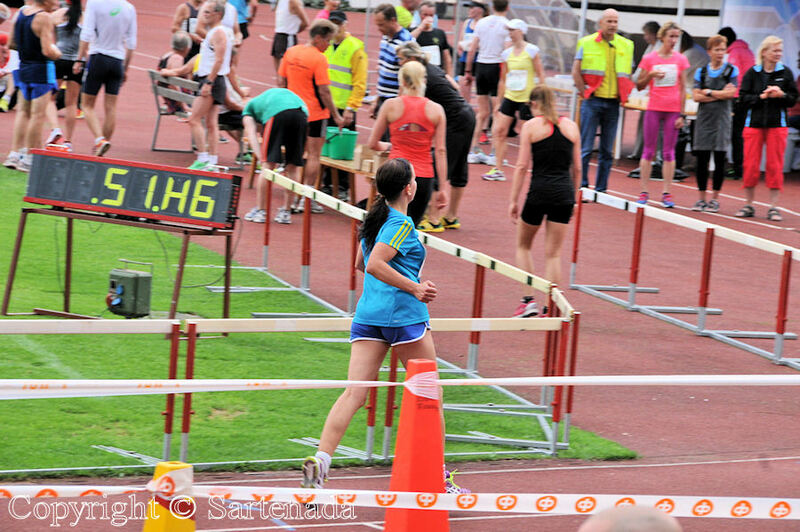 C’était le 6 de Juillet, elle faisait chez nous pour la première fois à Mikkeli et ont participait à ¼ Marathon dont la longueur était de 10,55 km / 6.6mi. Avant de courir elle devait conduire 258 km / 160.3mi de Lohja à Mikkeli. Elle courait à la catégorie d’âge des femmes de 40 ans. Alors, comment a-t-elle réussie? Elle a gagné! C’était pour la première fois quand elle a gagné et ça arrivait à Mikkeli. Quelques photos ont besoin de plus amples explications: Photos numéro deux et trois montrer comment attacher la micropuce de chronométrage. La quatrième photo pourrait présenter un mec en costume de enterrement de vie de garçon. Après la course, nous sommes rentrés à notre maison et bu “café de médaille”. Heureusement nous avions quelque chose à offrir, parce que nous n’avions pas préparé pour sa victoire. Le résultat de ma fille était 00:51:36. Avez-vous déjà participle à la compétition? 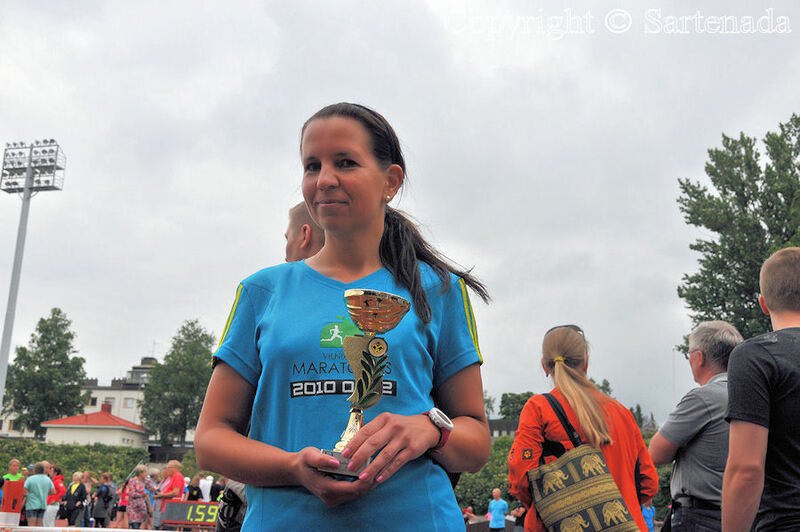 In August 2013, Inca’s result in Helsinki City Marathon was 4:07:43. Her place number was 59. Congratulations Inca! Formidable ! Et Inca (aussi pimpante en fin de course que sur la ligne de départ !) a terminé avec une belle avance. Comment bien dit! J’en suis sûr que Inca aussi aime ton commentaire. How wonderful. I’ve never competed and I admire those who do! I also admire them too. 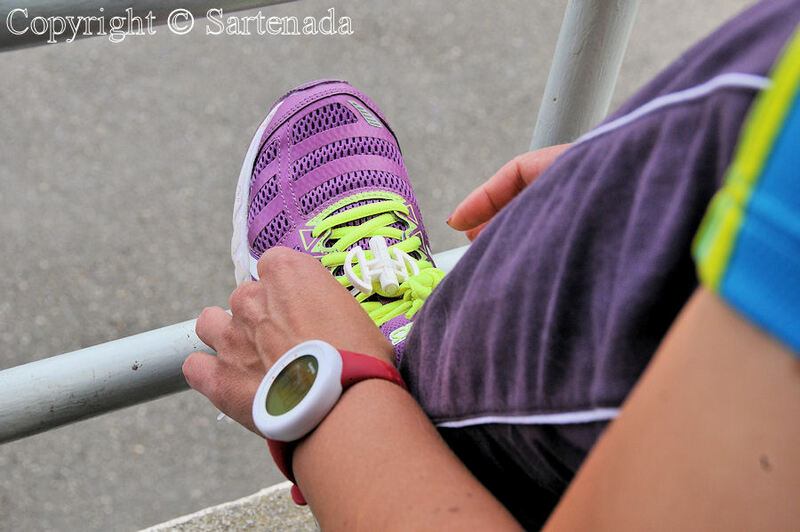 I think that most runners must run themselves alone. Great! What a beautiful, friendly looking and extremely athletic young lady! Congratulations to your extraordinary daughter Inca who not only succeeded in running the distance but managed to win this run! 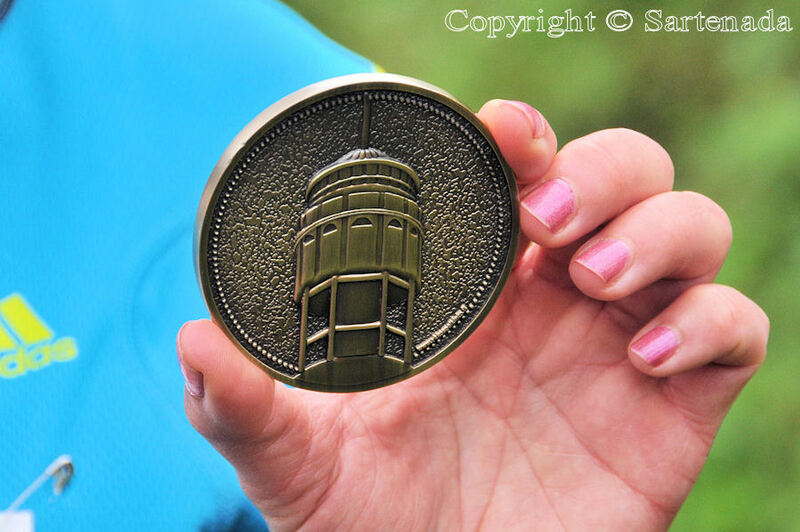 And what a time – in general and as well the time distance to the second winner. Nearly five minutes difference! Wow! Thanks for the photos! It seems they all had a lot of fun (apart from the physical effort). I am sure that Inca loves Your comment very much. Happy weekend to You also. 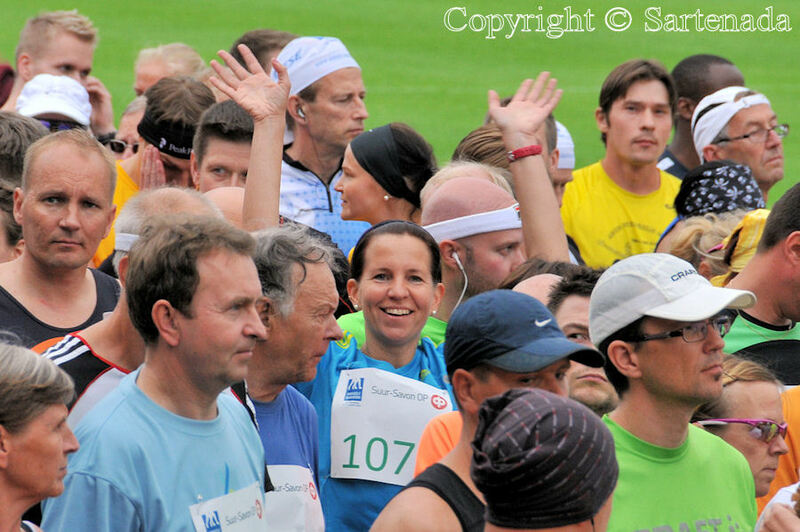 BTW, after this run my wife started to think to participate in it next year. Well, we’ll see it. Congratulations to all of you! I run this distance but not nearly so fast. I admire her ability to keep this speed. Wonderful. Thank You. She will be happy when reading Your kind comment. 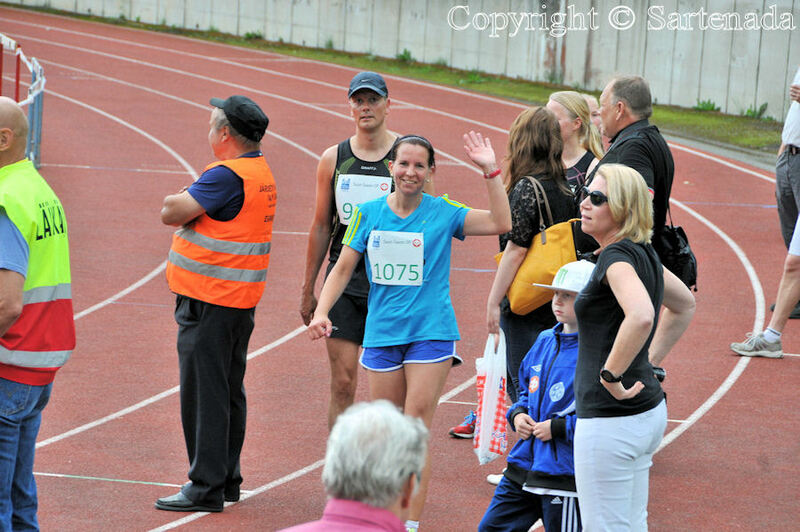 Thank You commenting my daughter’s running. 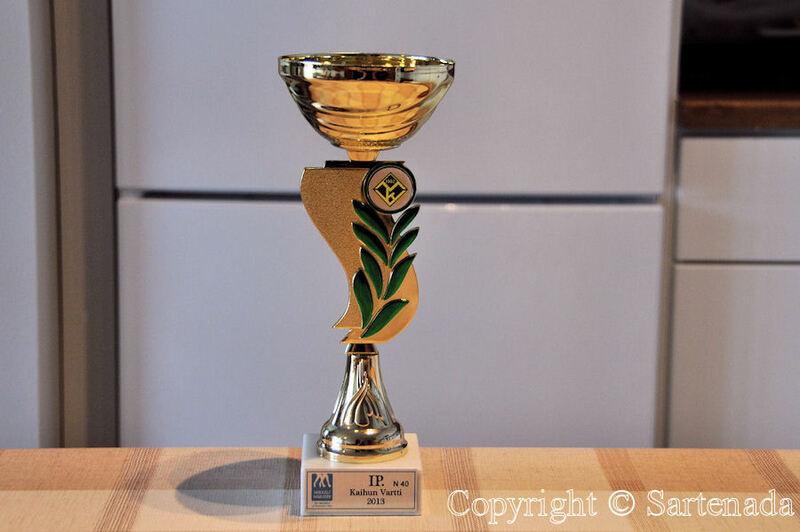 That is so exciting to win first place! Inca must be very proud of herself. Alex was up against the worlds best runners so he placed 84 out of 100 and was happy. Stacey his sister is a fireman so running in segments of the race to throw water over Alex to keep him cooler was possible for her because she has training. CONGRATS TO INCA FOR HER BIG WON! SHE LOOKS SO HAPPY…. Next Alex should participate in Antarctic Ice Marathon. In the book which name and author I gave to You, he ran also Antarctic Ice Marathon as in Death Valley. Congratulations to Alex and thanks to Stacey helping him. I will mention it to him, but I think his next project has the name baby attached to it! You too have a good weekend. Las fotos son hermosasy tu hija/campeona, también! Me encanto’ este post,gracias por compartir con nosotros! Creo que tus palabras amables le encanta en leyendo tu comentario porque ella sabe hablar español también y francés claro que sí. Espero que tengas un muy Buen Fin de Semana. Thank You very much commenting my post. Bravo à votre fille Inca 🙂 Les photos sont superbes! 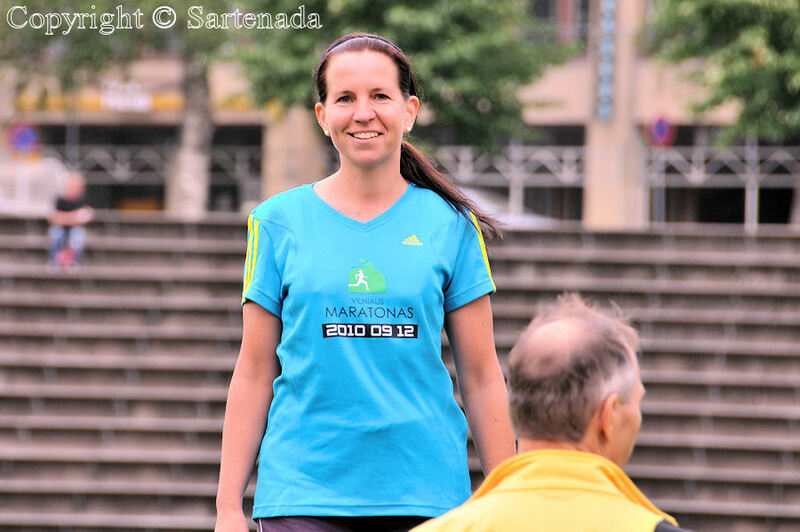 Peut-être une future marathonienne ;)! Congratulations to Inca. I’m glad you were able to provide some ‘medal’ coffee for her in honor of her victory. I know you are very proud of her. I am glad that You visited my post and liked it. Thank You making so nice comment. Congratulations to your beautiful daughter Inca, and to you as well for having a daughter like her! Thank You for Your kind words. I am sure that she appreciates them also. congratulations to your daughter! 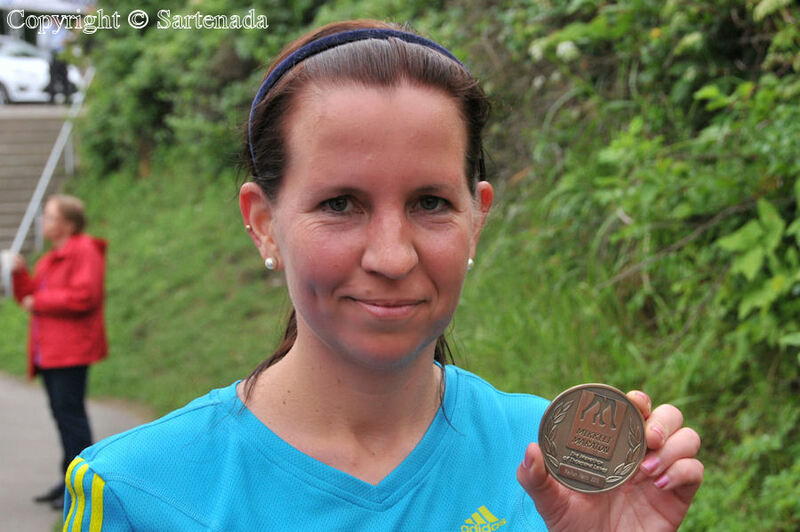 Thank you so much for sharing wonderful news with us, Sartenada! She appreciates Your kind comment. Thank You. Congratulations, Inca! I enjoyed the story told in the photos.You must have felt very proud seeing your daughter waving back at you from the crowd.. I felt very happy joining in on the fun.Thank you for sharing. So kind words. Thank You very much. Thank You for Your praising words. I am glad that You checked my post. That’s so great that she won! 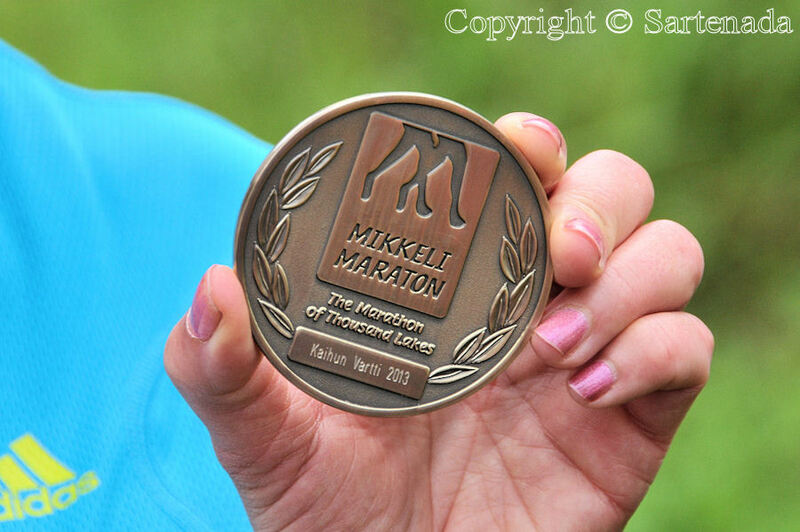 I’ve never participated in a marathon but have watched a few and know how tough they can be – good for her! Thank You commenting so kindly my post. Congratulations on your victory, Inca! 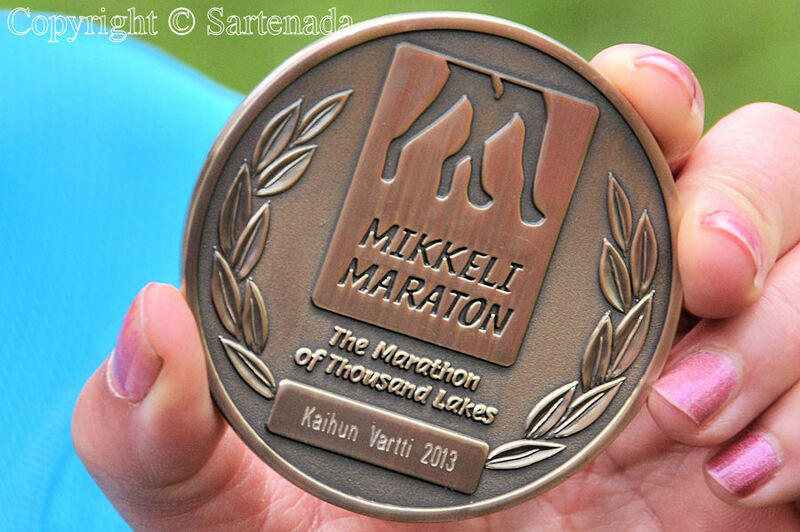 Matti, thanks for your very enjoyable pictures of the event! Thank You. I guess that I managed my photographing quite well although to shoot photos from such a happening it was not so easily. 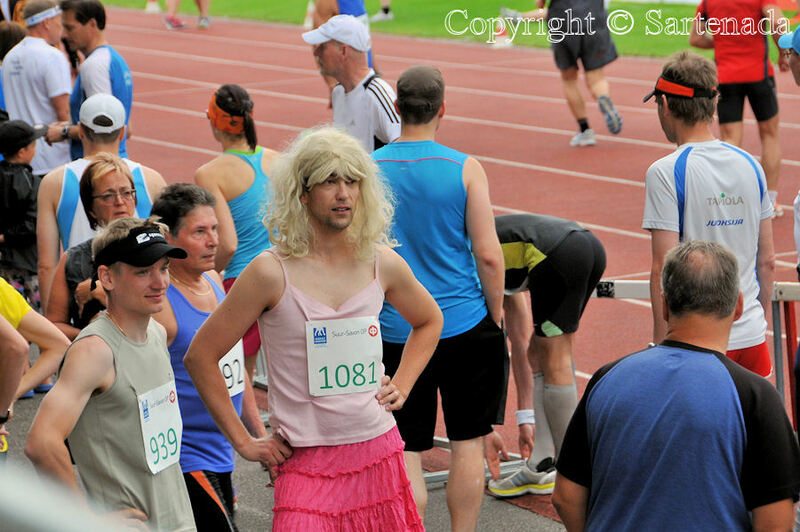 BTW, I nearly missed her arrival at the Finish line. Happily my camera is very fast. That’s right. Thank You for Your visit and leaving Your comment. Congratulations to your daughter!! How proud you & your wife are! You did a great job. I know what you mean; I already photographed things that I NORMALLY don’t do ( dancers, for example) & it turned out just fine. You must be so proud of your daughter! 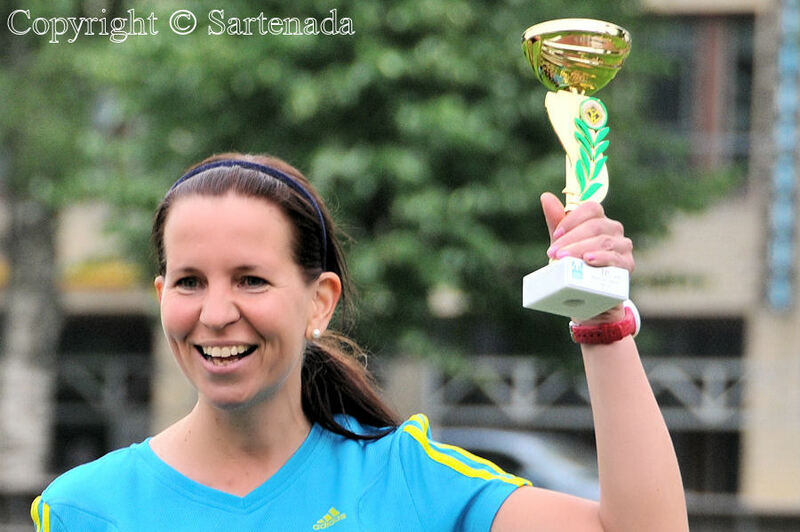 She looks so happy and the trophy is impressive – congratulations! Thank You. Actually it was surprise for her also. 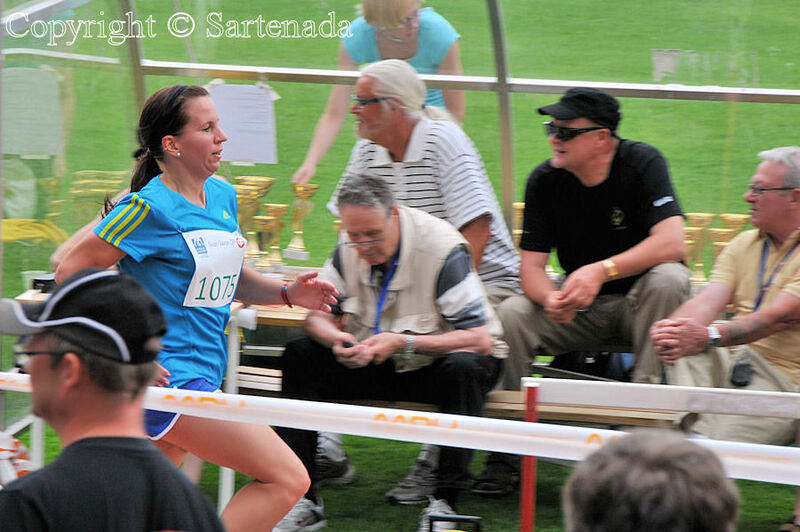 I nearly missed to shoot photos from her at finish line, because she arrived “too early”. Not only did she win- she was 5 minutes ahead of the next finisher! Congratulations to your daughter! And to her proud dad! Excellent observation. 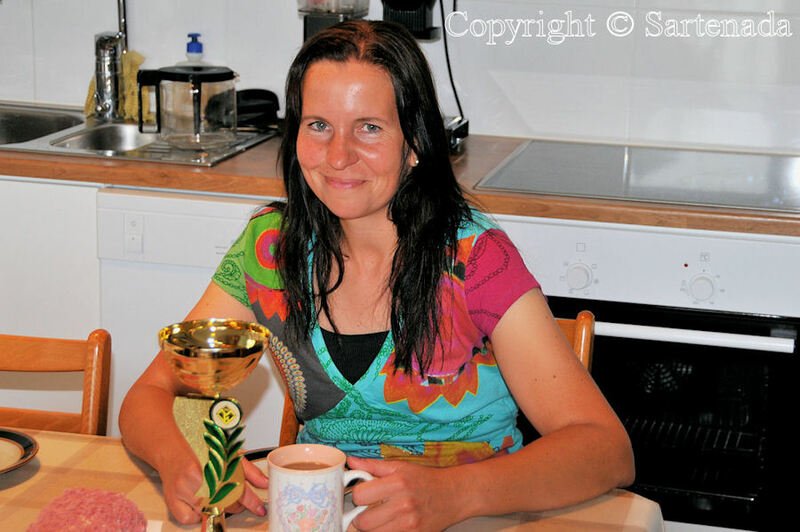 In addition we have to remember that she drove 258km / 160.3mi from her home to Mikkeli before walking with her dogs early in the morning when rooster crows. 🙂 Also when she arrived she had to balance with eating. Thank You Janet. Wow! Congratulations to your daughter, Inca. Her big smile tells it all! Nice photos of a fun day. ¡ buen correr ! Inca es un nombre enteresante, tambien. yeah, you’ve wandered by my site — i used to “compete” a lot, but am more into holding the timing device and reporting than “doing it.” i believe that her time for 6.6 miles is a bit faster than i could do! i will run a ‘desert’ 10k in a couple weeks, but it’s “low key” . as usual you take clear and interesting photos! Qué buenissíma que notabas el nombre de mi hija Inca. Su historia es larga, pero simplemente me visitó en mi juventud muchas veces en Perú comprando música tropical llamado Cumbia. Caminando por las calles de Lima. Así que fue a partir de ahí donde encontré el nombre de Inca. ¿Cómo lo es?, ¿conoces la música Cumbia? Thank You very much for commenting this post. Thank You. I am sure that my daughter will be happy when reading Your kind comment. My congratulations to your daughter on her win! Thank You. Inca will be happy when reading Your comment. Wonderful result and so great you were there to cheer her on! In the Spring her time was about 5-6 minutes better, but due to too heavy training, she had to stop her running for two months. Thank You Sue for Your comment. What great photos and a wonderful achievement! In fact it is a very good result for your daughter! I am finding it hard enough just to try and run the 10.0 km in less than an hour! That will be my goal this year. I will try and run the 10km in less than an hour. 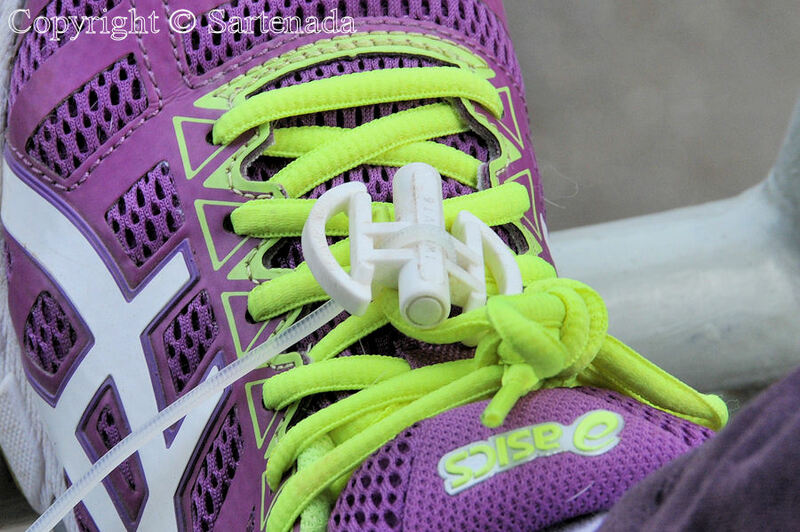 I hope I can do it because I am not a runner too. In school, I could never even run 1km!! I wish with all my heart that You manage it this year. As I said, I am Walker. Now we have our lake ice cover and we have started to walk on it. Wonderful. Thank You for Your kind comment.